Here comes my next trip report, which covers some travels I had earlier in the month. I’m actually on one very long, continuous journey, but I’ll be breaking this up into a few different trip reports (once this report is complete, I’ll have reviews of business class on Lufthansa, Meridiana, and Azores). 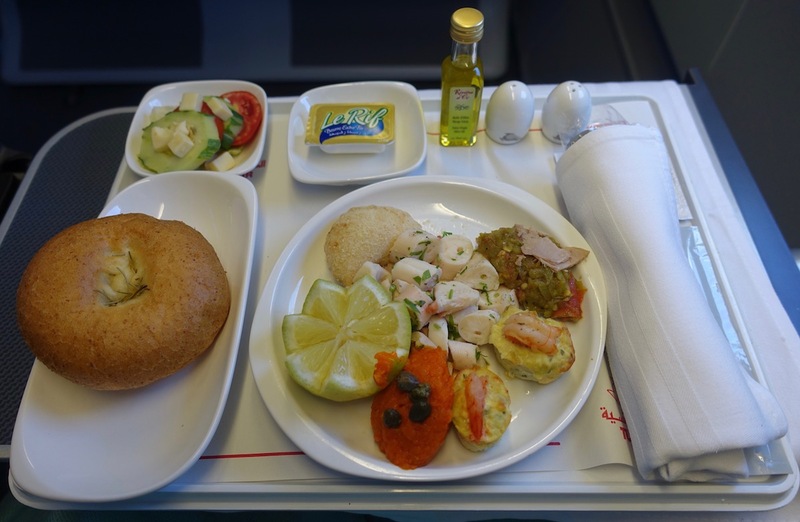 The only reason I took this trip was to review several new airlines, and in particular a few airlines that have been on my list to review for a very long time. I’m always good at procrastinating on stuff like this, so figured it was time to just book already, given that I had about a week in my schedule without any location commitments. Planning hotels for this trip was an afterthought, so this wasn’t a destination trip where I had certain cities or hotels I was looking to stay at. It was all about the flights. UPDATE: Unfortunately, in 2018, Chase Ultimate Rewards removed Korean Air as a transfer partner. 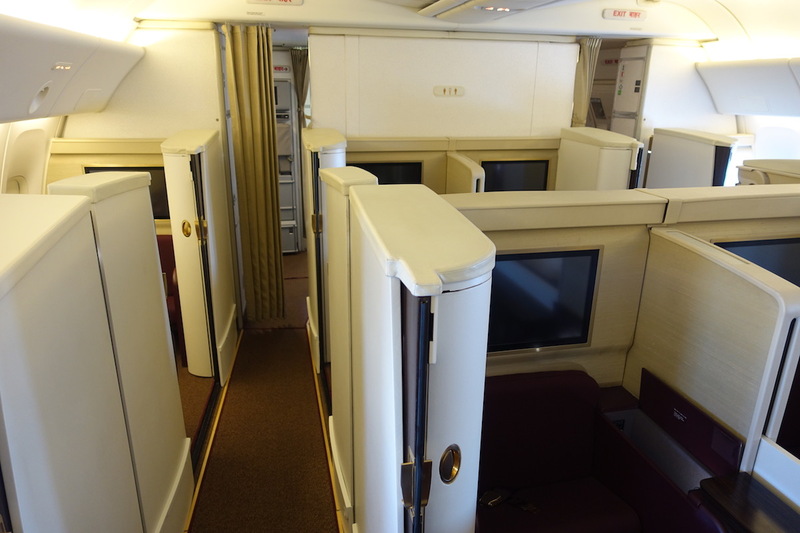 The planning for this trip started with my desire to fly Saudia first class. I flew Saudia several months back in business class, and had an interesting experience, to put it mildly. So I was keen to check out the new first class suite they offer, which looked solid. Could Saudia actually have a good first class product? 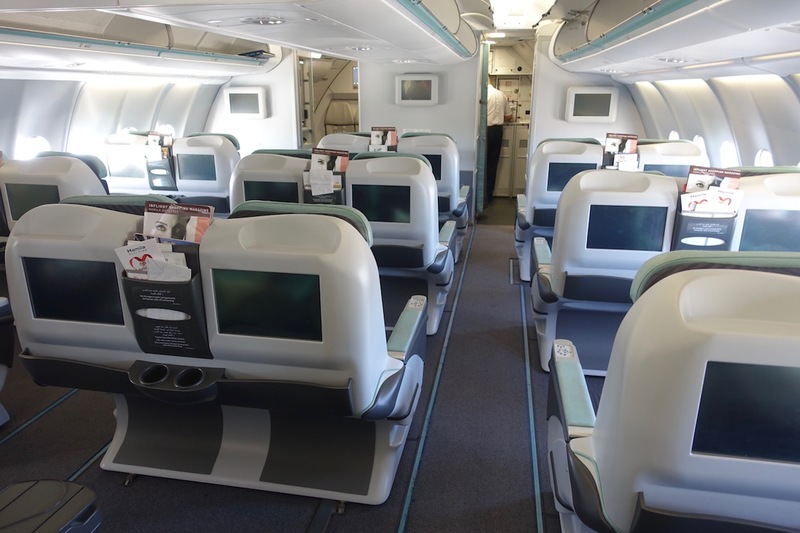 The good news is that Saudia first class award tickets are wide open when booking through Korean Air SkyPass. Saudia belongs to SkyTeam, though the catch is that SkyTeam as an alliance doesn’t allow international first class award redemptions. Instead such opportunities are negotiated between individual airlines. Korean Air SkyPass has the best access to first class on SkyTeam airlines, and you can easily redeem Korean Air miles for travel in international first class on China Eastern, China Southern, Korean Air, and Saudia. Saudia first class award availability couldn’t be much better, with most flights having 4-5 award seats per flight, no matter when you book. Korean Air SkyPass is even transfer partners with Chase Ultimate Rewards, meaning that you can use points earned on cards like the Chase Sapphire Preferred® Card and Ink Business Preferred℠ Credit Card. The cost of a roundtrip first class ticket between the US and Middle East is 160,000 miles, though the catch is that you have to book a roundtrip. In this case I decided that it made the most sense to book the outbound for this trip, and then book the return for travel in about six months, since I figured four Saudia first class reviews in a row would be a bit repetitive (furthermore, this lets me avoid the electronics ban for a bit). 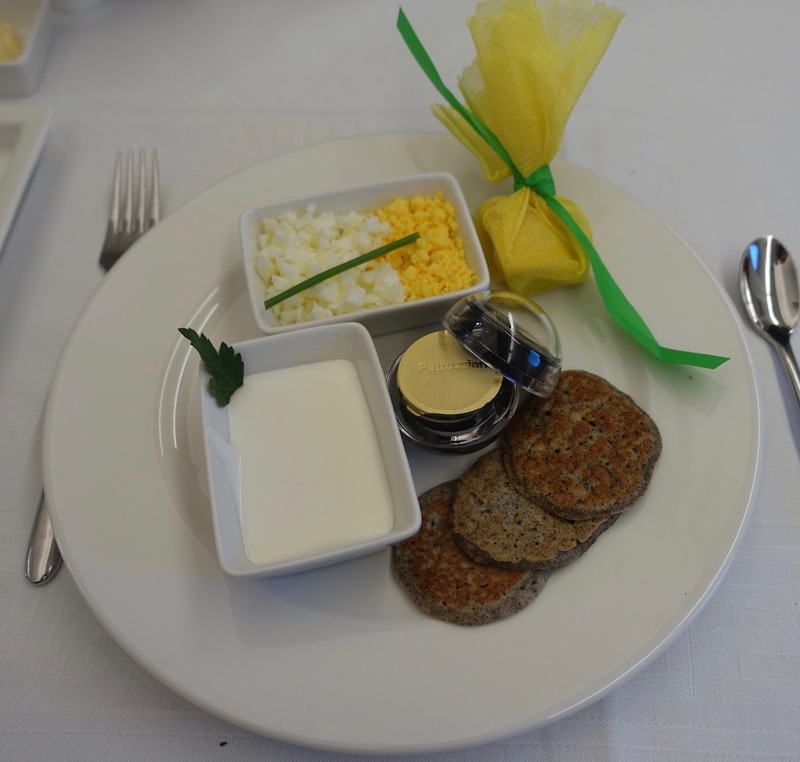 From there, another airline I’ve been meaning to review in first class is Jet Airways. 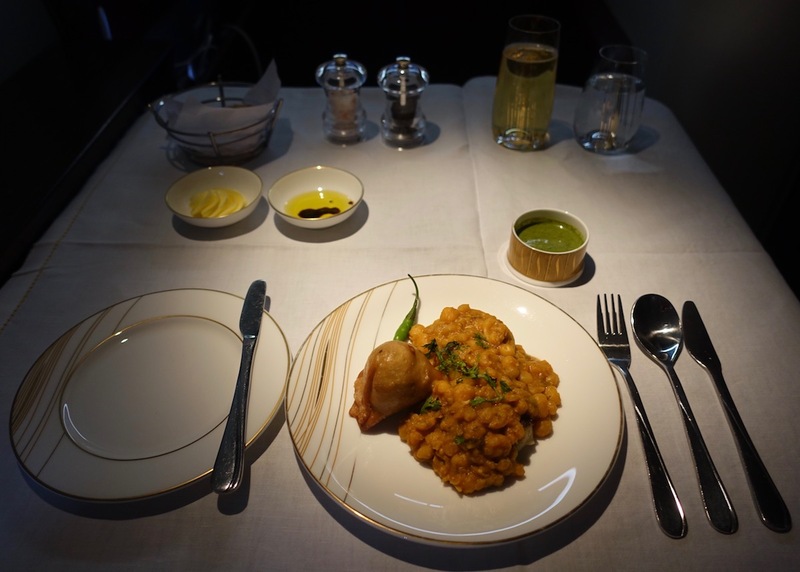 I’ve reviewed Air India, so was curious how India’s other first class product compared. Jet Airways has a first class product from India to several points in Europe, Toronto (via Amsterdam), and some points in Asia. Based on availability I figured I’d book myself from Dubai to London via Mumbai, with the second segment in Jet Airways first class. I did plan two nights in Dubai at the beginning of the trip. In Dubai during summer (and especially during Ramadan) you can stay almost anywhere for cheap, so I could have done a true five star hotel for well under $200 per night. 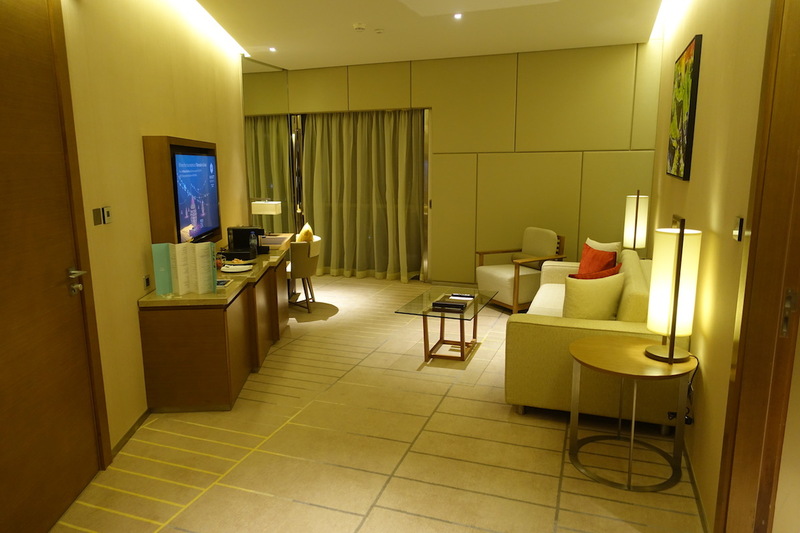 however, I was keen to try the Hyatt Regency Dubai Creek Heights, which is fairly new, and is one of the few Hyatts in Dubai I haven’t stayed at. It’s near the airport, and was under $100 per night. Then I had a long layover at Heathrow Airport, and both my arriving and departing flights were out of Terminal 4. 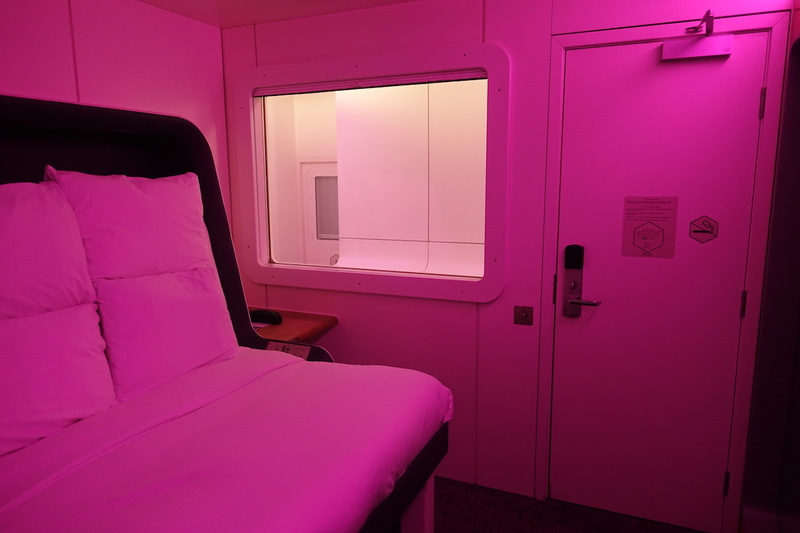 I’ve long been fascinated by the Yotel concept, so I figured I’d get a day room at the Yotel Heathrow Terminal 4. The room for an eight hour block cost just under $100. While not cheap, I knew I’d need the rest between flights. My other practical option was getting a day room at the Hilton Heathrow Terminal 4. Lastly, I had one night in Tunis, where I stayed at the Sheraton Tunis, which was ~$150. The hotel was a 15 minute drive from the airport, so had a convenient location. Tunis isn’t a great hotel city overall, though it’s getting a Four Seasons later this year, which I’d like to return and check out. Fortunately since my flight only left the following afternoon, I could do some sightseeing in the morning. This was a trip of many surprises, as at least two of the three airlines weren’t as I was expecting them to be. I’m looking forward to sharing the full details of the flights. While my time on the ground was brief, I enjoyed my morning sightseeing in Tunis, and am hoping to return soon. What a beautiful place. Is It Worth Upgrading Hawaiian Airlines Inter-Island Flights? Thanks for doing these — I find them really informative! Question though: how come DXB-BOM-LHR is legal on AA? Isn’t that Middle East to Indian Subcontinent to Europe, this violating the No-Transiting-a-Third-Region rule? 3 rows of 1-2-1 F suites in a 777 just looks weird! I wonder if they’ve ever even had 8 of the seats booked in that cabin. Unless you have the worlds best F class there is no need for 12 seats. Can’t wait to read your report on SV Riyadh lounge! Will the past two trip reports be added to the trip report index? It makes it much easier to refer back to them. Tunisia is an intriguing country, with lots of ancient sites if that’s of interest to you (from the ruined Roman town of Sbeitla to the staggering coliseum of El Djem, via the enigmatic ruins of Carthage). The national museum has some of the world’s finest Roman mosaics (ha! And you thought *you* were a geek?! ), while Tunisia is traditionally one of the most liberal of Muslim countries – gender equality is as good as any, alcohol is freely available. It also emerged from the Arab Spring as the most democratic Arabic country. 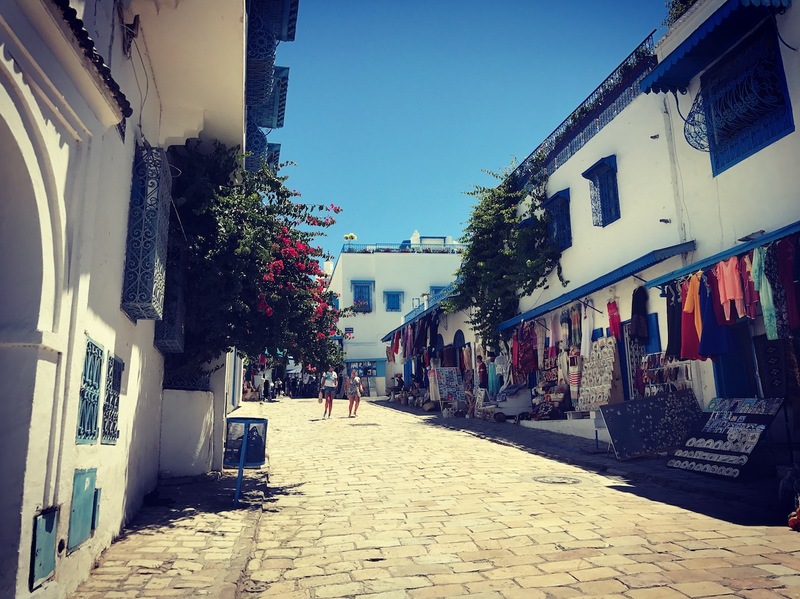 Tunis is a strange city, with wonderful French colonial suburbs (Gammarth, full of villas and some nice small local hotels), and the tourist trap of Sidi Bou Said – the place with the beautiful Medieval cafe that features on all the tourist posters. The extraordinary souk goes on forever. And then there’s the Sahel and the Sahara, Berber culture, and delightful offshore islands. Did you stay overnight in YUL or the city between your flights or just connect? Ben, glad you went to Tunis. We enjoyed Tunis very much when we went months after their spring…we never felt safer by the way. Check out Hammamet and their airport Enfidha….flights from TunisAir and Eurowings. I have been several times to tunis, just be careful. Its not the safest place and their is obvious hostility by some locals towards foreigners. Given your only there for a morning my recommendation is head over to the unesco listed medina and enjoy walking amongst the traders who are doing it tough from the terrorists attacks on foreigners. There is a famous antique shop within the medina thats definitely worth checking out. Within the medina is an amazing mosque which is definitely worth checking out. Curious about your AAdvantage redemption as I was trying to do something similar and I called AA and they said it would cost substantially more miles than you spent. What gives?